Making an appointment with your doctor or local pharmacy to get your flu shot will decrease your chances greatly of catching the virus. Not a fan of shots? You’re in luck! Most healthcare providers also provide a flu “mist” which is a nasal spray flu vaccine option for those that prefer to avoid the traditional standard dose flu shot. Washing your hands regularly throughout the day (and using anti-bacterial hand gel when washing isn’t an option) can help stop the spread of germs in communal spaces. The standard practice of using soap and water works well when available, but it may also be a good idea to use hand gels like the Purell Foam Hand Sanitizer or the Purell Hand Sanitizer with Aloe (both can be found directly on the HDIS website). 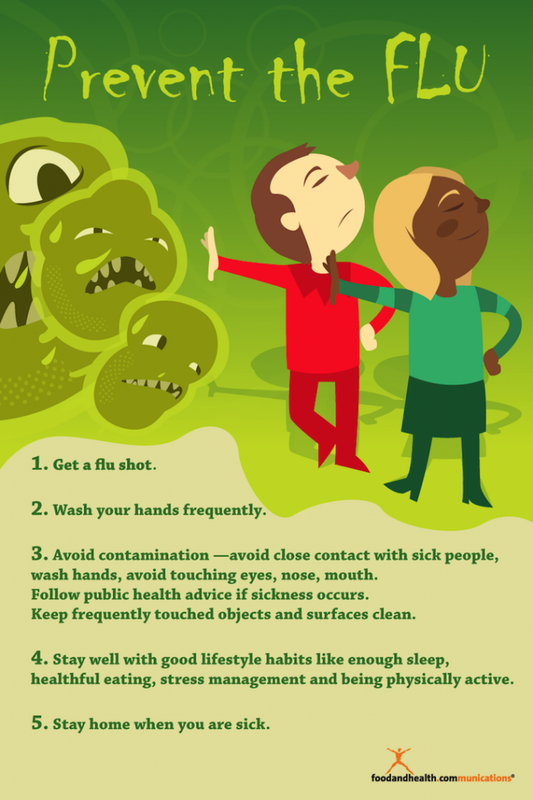 Another great tip for avoiding the flu is keeping your personal space clean and germ free. Cleaning spaces like desks, keyboards, chairs, tables and door knobs routinely can eliminate most viruses and bacteria that may linger on surfaces. HDIS carries a variety of aids to daily living that can help fight germs and keep your space clean. One of the top suggested products is Purell Hand Sanitizing Wipes (Fragrance Free) to keep your spaces and surfaces germ free. Taking time to let your body fight the virus is imperative to getting healthy quickly. Staying at home and resting gives your body a chance to create flu fighting antibodies and decreases the possibility of spreading the virus to other people. Staying hydrated is also important as it helps clear out the germs that are remaining. Dry air in your home or room can make congestion and coughing worse! By running a humidifier you help increase moisture in the air to ease your respiratory flu symptoms. Try an Ultrasonic Cool Mist Humidifier that can be found on HDIS.com! If flu symptoms are particularly bad, go see your doctor and ask about getting medicine to alleviate symptoms. Most bouts of the flu will run its course in a few days, but always consult your doctor if things start to worsen after taking restorative action from the onset of your flu symptoms.